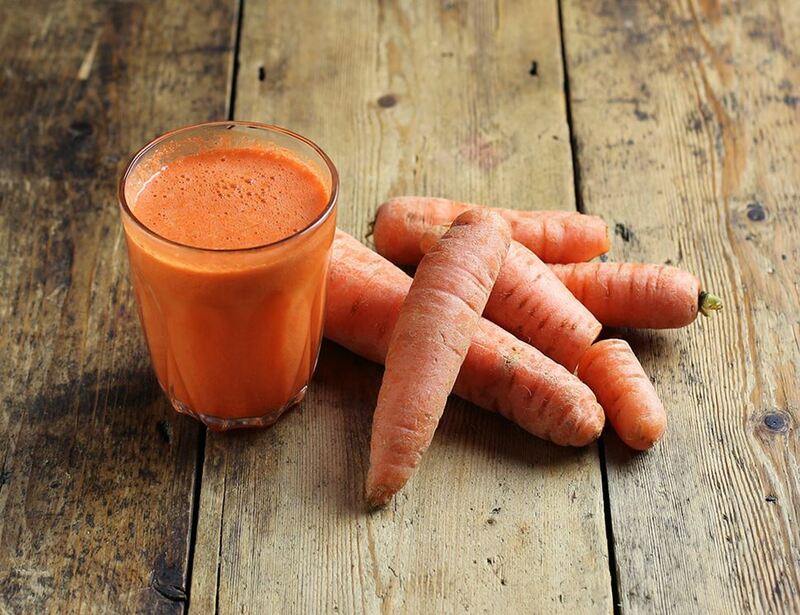 Organic carrots come in all sorts of shapes and sizes, some of which are perfect for juicing (although may not win any beauty contests). We reckon they go better in juices than on the compost heap. Carrots are a great source for your vitamin A – the promise of seeing in the dark is our favourite way to encourage littl’uns to get munching!. Most of the good stuff is just below the skin so scrub rather than peel your carrots. To get the best of them, drink up quick as you can after juicing them. Our carrots are grown on Nick Walton's idyllic Bagthorpe Farm in Norfolk and Andrew Skea's farm in Scotland. Nick lives on the gorgeous Bagthorpe Farm, not far from the Norfolk coast, and rotates his crops regularly to get a rich diversity of soils, plants and wildlife. Andrew Skea has been farming carrots for over ten years now and still works with his family on his farms. Carrots will maintain their Beta-carotene even through boiling, although other nutrients are lost into the water, as the orange colour it obtains will show. However raw carrots can be finely or coarsely grated, cut into matchsticks or fingers to add colour as well as crunch and flavour to many dishes. Carrots should be stored in the warmest part of the fridge or in a cool dark place.